Old Courthouse Square, the center of downtown Santa Rosa, is surrounded by numerous shops and restaurants, including the nationally known Russian River Brewery. 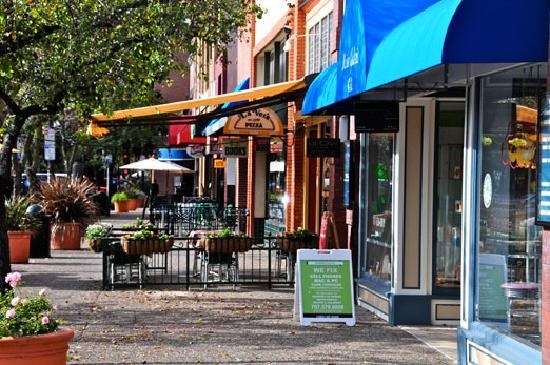 Historic neighborhoods, including Railroad Square, West End, and Cherry Street District, give Santa Rosa its quintessential small-town feel. Old mansions and Victorian style homes can still be found near downtown on tree-lined McDonald Avenue. It is perhaps the most beautiful street in Santa Rosa.